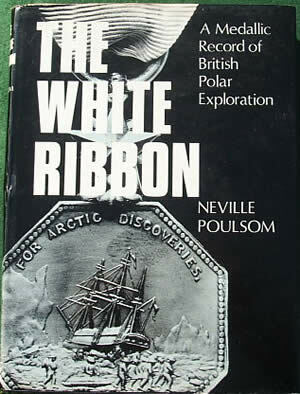 Neville Poulsom, The White Ribbon, a Medallic Record of British Polar Exploration (1968), 216pp., black cloth with dustjacket. Good condition. An excellent work covering all aspects of medals awarded for polar exploration, including lists of ships and their crews.